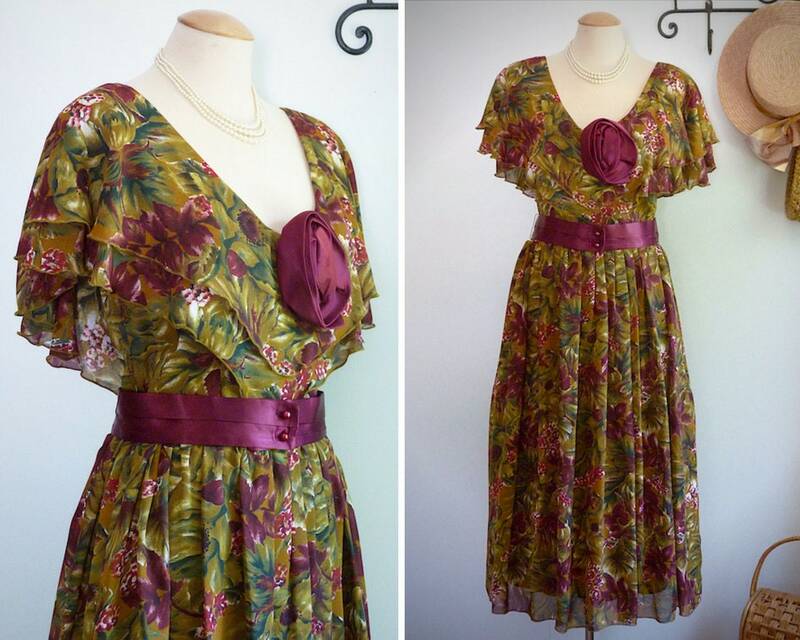 Very beautiful olive green chiffon dress with floral print in tones of plum/purple. 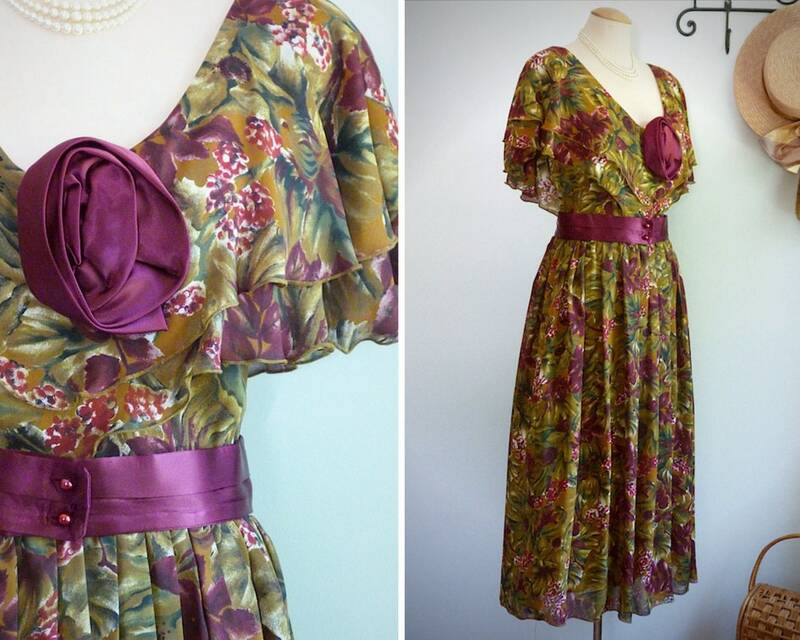 Retro shape with wide ruffles all along the neckline and on the shoulders, as well as a big three-dimensional plum satin knot. Close-fitting bust, removable belt matching the knot at the waist line, calf-length flare skirt and zipper at the back. 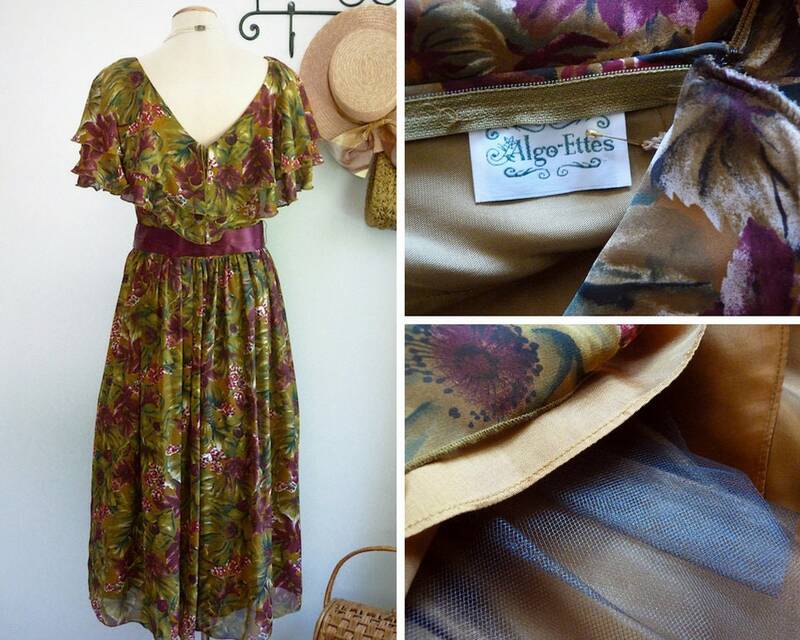 Full polyester lining and built-in petticoat for more volume. A pure granny chic style! TOTAL LENGTH (FROM SHOULDERS DOWN TO THE BOTTOM): approx. 48 in.